This organization is dedicated to saving animals by promoting no-kill policies such as adoption, fostering, spay and neuter, and pet owner education. Lucky is becoming a fixture at our house and we think he looks great. He is a young, fun loving dog with a unique personality. You might notice that Lucky has gained some weight. He has also been learning to fit into a family. Lucky probably did not receive much affection or proper instruction when he was younger and everything is new to him. Unfortunately Lucky's case is all too common. Hopefully whoever dumped him will someday realize that this can cause emotional scars on these animals which can take a long time to heal. Lucky has a home here however long it takes including forever if necessary. 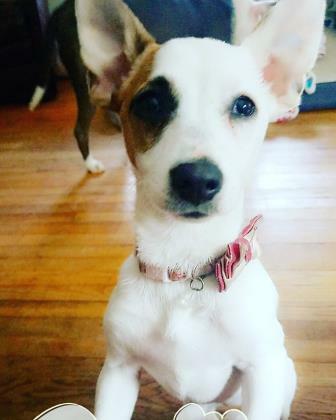 Update: Miss Emma needs adoption or foster! Poor Emma has been living in a kennel since September waiting for her forever home. Now she might be losing her spot in the kennel too. 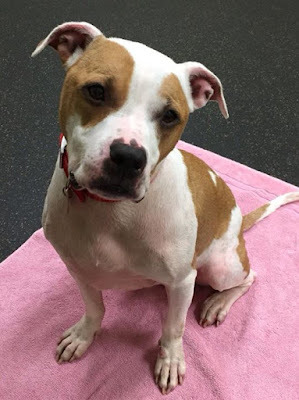 Can ANYONE help Emma find a home? She's such a great dog! If you like this site please link back to us.